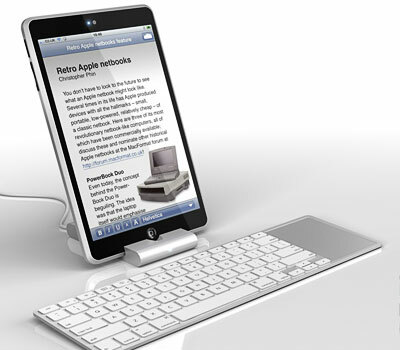 Apple’s Tablet: Will it Rule the Tablet PC Market? Despite all the buzz over 3D TVs, eReaders and even Google’s Nexus One smartphone at this year’s Consumer Electronics Show, one item that didn’t even appear at the event itself managed to color the conversation surrounding all those that did: Apple’s rumored tablet, the iSlate. The company hasn’t said a peep about any such product, but fans have already steadfastly gathered hints on the new devicefrom pieced-together clues, mocked up photos of what it might look like, and pledged their intentions to buy one. In fact, we might be witnessing the very pinnacle of brand loyalty before our eyes. But let’s be honest: Do these hyper-inflated expectations help or hurt Apple? Have fans set the bar impossibly high? Can the company possibly deliver a second Messiah product along the lines of the iPhone? What is likely to be the most debated assertion on our list seems quite obvious to us: Every single competitor out there is already running the full version of Windows 7. 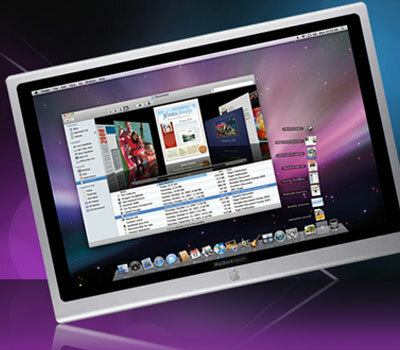 If Apple brings a blown out version of the iPhone OS to this new platform, rather than Snow Leopard, it’s already behind. Sure, the iPhone OS has worked miracles on a little 3.5-inch smartphone, but with a larger screen and much higher price tag, people will want to unlock the possibilities of a real computer, not a toy. Apple’s real trick here should be reworking the Snow Leopard interface to make it more finger-friendly – maybe something along the lines of Cover Flow, but with apps. Offer long (eight hours plus) battery life. Unless Apple plans to launch its own dedicated eReader, which is beyond unlikely, the Apple tablet will have to double as an eBook player in this hot market for them. Writing the software will be a cinch, and we’re guessing most major marketplaces (like Amazon and Barnes and Noble) will be glad to swing their doors open to Apple. But if Apple actually expects people to read on its device for extended periods, it will have to offer battery life long enough to devour page after page without dying out. To us, that means an honest eight hours, at the bare minimum. Ride on an iPhone’s data plan. We’ve already pointed out that iPhone users, and heck, smartphones users in general, are spoiled. Looking for Wi-Fi has become an arcane pastime from 2001. They expect connectivity everywhere. 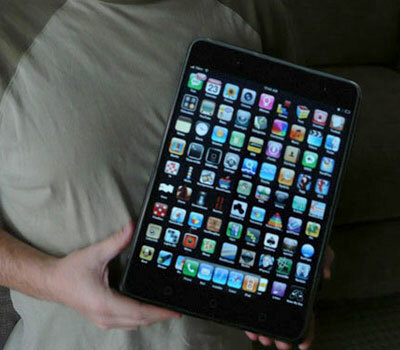 And the Apple tablet will have to deliver with a 3G modem. But that’s the easy part. If Apple and partners like AT&T expect consumers to shell out double for yet another data plan on top of the ones they already have for their iPhones, they’ll have a catastrophe on their hands. We expect either tethering – a fair but unlikely solution – or a discounted additional fee to add on the device to an existing plan. Another $10 a month would be reasonable, but we fully expect they’ll be able to gouge us up to $20 before serious complaints start to roll in. This is vital. 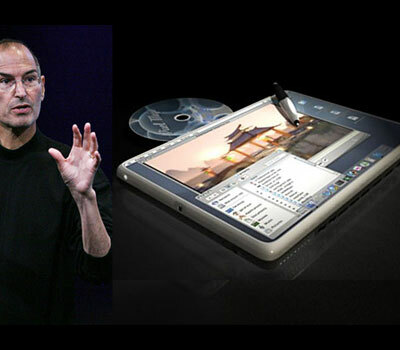 If the Apple tablet turns out to be merely an exact culmination of rumors, Apple has failed. To succeed here, it needs to do something jaw-dropping, something that other products can’t do, and something we all believe we can’t live without once we see it. The very nature of this X factor makes it tough to predict, but we think it might have something to do with the input mechanism. Perhaps it will have a pressure-sensitive stylus similar to a Wacom tablet for drawing and painting. Perhaps it will also recognize handwriting from that stylus with near perfection. Perhaps it will offer a slick new virtual keyboard, like one that lets you construct sentences by stringing letters together with swipes rather than tapping on them. Perhaps it will even recognize gestures in front of it, like a miniature version of Microsoft’s Project Natal. Either way, for now, we can only wait and hope – stay tuned for more news as it breaks.